When moving to a new home across the ocean you want to take all of your belongings, including furniture. Transportation of wardrobes, double beds 3-seater sofa, kitchen table and other furniture is a daunting task especially due to its size, weight and value. Unfortunately your furniture will take the most space in the container which means the more of it the more it is going to cost you to ship it. That is why it is good to get prepared. It is much easier to ship the furniture when it is empty. At the same time during the transportation it will not get damaged from the inside. Also the items inside may get broken. If your international mover do not know it you should tell them not to carry furniture with shelves or drawers without securing them. It is a good practise to dismantle the furniture and ship each part separately. If you decide to move all the furniture in one piece, remember to prevent the parts from moving. You may want to tape all doors, shelves and drawers with adhesive tape. Dismantled furniture takes less space which makes the shipping cheaper, more profitable and reasonable. Here you can find out more about how to dismantle a sofa and other furniture. 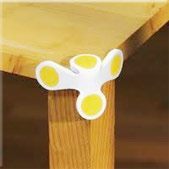 When shipping furniture to USA from the UK all the corners should be protected with special corner-protectors, because they are most vulnerable to the damage. 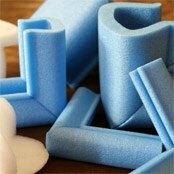 They can be taped, wrapped with cardboard, bubble bags or furniture blankets or special covers. 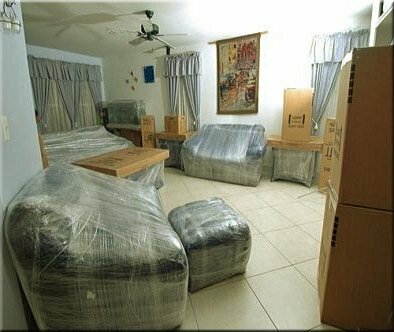 If a piece of furniture is very fragile a few methods of protection can be applied. For paintings, grandfather clocks, sculptures we design and build wooden crates. Also, the undersides of furniture should be protected. Chests of drawers, cabinets or shelves are often put on the ground that it is not always clear and even. It is good to wrap and protect them from the bottom using a special foil, foam or plywood. Waterproofed foil is used if we carry out the shipping in winter or when the weather conditions are not favourable. When shipping a sofa or bed to United States, remember to protect the upholstery. When moving it is easy to stain your furniture or even tear it. It is good to wrap the sofa with special sofa covers. It also protects the furniture from dust and getting dirty. All large furniture require special handling. 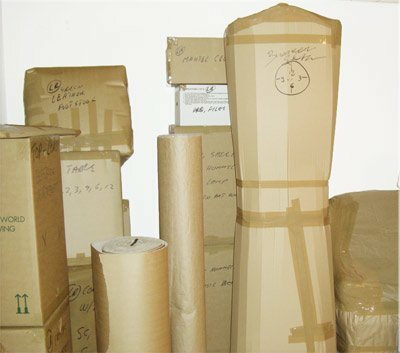 To prepare them for moving special packing materials, covers and cushioning systems may be required to avoid and minimize the potential damage. International packing of other items. Safe shipping of furniture to USA from the UK also requires careful loading and arranging it in the container. You must remember to properly arrange the furniture in a car too. Depending on the type of furniture it can be arranged in layers separated from each other be special platforms. Some of furniture can be also stack one on the other. Large and heavy items are stored at the bottom. Lighter can be set on them especially cardboard boxes. 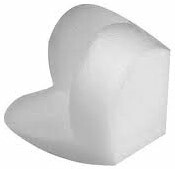 It is always good to fill the empty space between furniture with shock absorbing foam. Furniture removals - Free quote! Firms interact directly with you (by phone or email, depending on the chosen method of contact) presenting quotation performs the move. 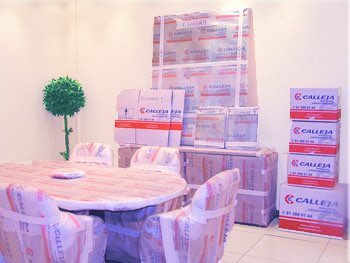 How to pack and ship furniture to United States? Sending boxes, tables, wardrobe delivery and sofa transport by sea and air. 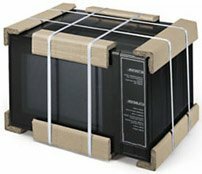 How to protect furniture when shipping to United States of America? 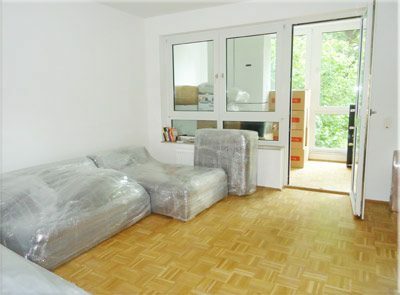 Protection of furniture and other possessions while moving to USA is a priority for everyone. Shipping of furniture is not cheap as well as replacing it if damaged. That’s why it is worth to pay attention to the protection methods used during the transport and delivery. 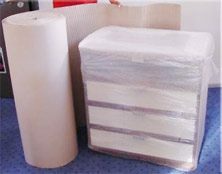 Very helpful in securing wardrobes, side tables, chest of drawers and other wooden furniture may be: Styrofoam corners for shipping, polyethylene corners and protection profiles. 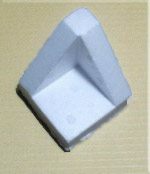 Styrofoam corners - are made on the injector of a hard Styrofoam. Very well suited for securing all sorts of items including electronics, household appliances and furniture. Very useful when using a container shipping method. 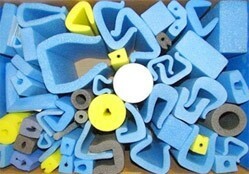 Polyethylene Corners - are made of polyethylene foam. Ideally protect vulnerable to damage corners of kitchen and bedroom furniture, counter-tops including home appliances, bookshelves and chest of drawers, tables and grandfather clocks. 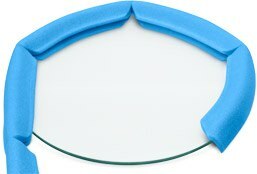 Profile protections - offered profiles protect the counter-tops and furniture boards. 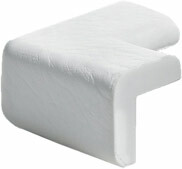 Are commonly used for sending furniture to U.S. and other products in the advertising industry. They are mainly used for securing panels and aluminium panels, shipping glass coffee tables, chest of drawers and chairs. Please remember if you do not know what furniture you want to take because you have a tight budget we can provide a few options. Just let us know what are the essentials you want to send as an option 1 and as an option 2 ask us to provide costing for boxes + selected items of furniture. Based on the inventory provided we will work out the cubic volume of furniture to be shipped and prepare more accurate quote. Option 1: I would like to send to USA just a few parcels and 2-seater sofa. Option 2: Please provide quote for shipping an armchair, 1 king size bed, 2 double beds, cot, TV stand, 2 bicycles, 1 side cupboard, couch, small coffee table and 4 chairs, kitchen table and 6 chairs, 2 lamps, 3-seater sofa, corner sofa and the items from Option 1. Option 3: Please also include an option for shipping a car. In many cases people looking to relocate ask themselves a questions - Is it worth shipping furniture from the UK to US? Well everything depends on what furniture do you posses. The most important factor is the cost of your furniture in comparison to the amount of money you will have to spend to send the furniture the the USA. If the cost of your furniture is greater than the shipping costs you can follow the rule - The greater the price difference is the more beneficial the transfer of furniture is. You can also estimate the value of your existing furniture and try to advertise it on E-bay to find out how much money you could get back. However sometimes you may be forced to bring the furniture with you. If you have kids there is a great chance they will want you to take their loved bed or trampoline across the ocean and if you say know you will be put up with the listening to a lot of moaning and crying. Luckily there is always a solution - buying a new furniture for kids - useful tips.